Jim Woodward is the Broker in Charge at Woodward & Associates and has been in the real estate industry for 20 years. Jim is licensed in both SC and GA. He started out his career specializing and helping buyers with HUD home foreclosures. 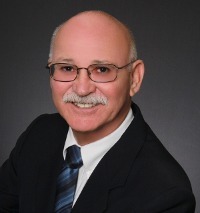 Jim has worked extremely close with military, firefighters, teachers, and first time home buyers and sellers. He has impressive knowledge of this industry and a work ethic that is unbeatable. Building site available in excellent established North Augusta, SC Community. This lot has water, power and septic for 3 bedrooms already available on the property. Real property- one story building on property has no value with 1746 sqft. Real Property. One story building on property has no value 1746 sqft.